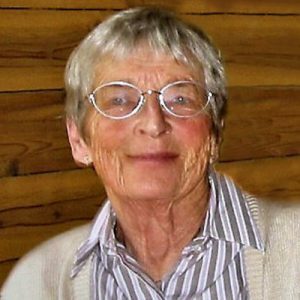 Feisty to the end, Yvonne drew her last breath in Kelowna General Hospital at 6:00 pm on January 14, 2019. Predeceased by husband Murray Alexander, mother to Murray Alan (Lois) and grandmother to Alexander, Tristan and Ian; Yvonne was born on December 6, 1925 in Port Elgin, Ontario. Having lost siblings Jim Fraser and Lee Bertram, she is survived by sister Gwen Kane. Following graduation from Toronto Western Hospital as a Registered Nurse, she met physician Murray Alexander at Toronto’s Sunnybrook Hospital. 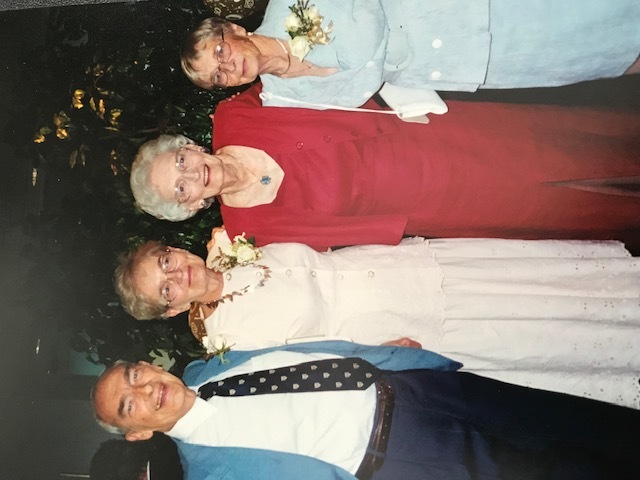 Married in 1951, they lived in Southampton, Ontario until the year 2000. They then moved to Kelowna, BC to be closer to their son and grandsons. Persistently and fiercely independent, Yvonne maintained old and established new friendships through her 93 years. She wielded the phone like a weapon and may be responsible for reduced profits at more than one telecommunications company! Her positive impact could be gauged by the constant parade of visitors and well-wishers to her hospital room at KGH. By request, there will be no public service. Yvonne can best be remembered and honoured through a donation in her name to the charity of your choice. Jackie and I are so sorry for your loss. Although I only met Yvonne a couple of times, I know she was one of a kind, and will be missed. Yvonne was little in size, but large in spirit. She was well read, enjoyed a good laugh. Pease be with you Yvonne. Murray & Family; Glad your Mother is at peace. We will miss her phone calls. Condolences also to her neighbours whom she spoke so highly of. Yvonne was a light in our life. Be it visiting them in Southampton or our frequent insightful phone conversations, we were always impressed on her brilliant ability to recall names, places and family events. She never forgot a birthday, anniversary or holiday. We are happy to know that she is at peace and is finally reunited with her beloved Murray. Our Aunt Yvonne was never without a story, or some latest news. She seemed to have her finger always on the pulse of the community, families, and neighbours. ALways interesting, always genuinely concerned for others. It didn’t matter which generation you were from, Aunt Yvonne was interested in you and could coax a good conversation, and maybe even a bit of debate from you. A life well lived every day. As one of Lois’s sisters, I’ve known Yvonne and her husband Murray, since Lois and Murray’s wedding. She certainly was a unique lady with many stories to be told. My sincere sympathy goes out to you all. She was always Aunt Yvonne to me. Her husband was my grandpa’s cousin and they were all great friends. Aunt Yvonne was a very special lady. She was so sweet to stay in touch with us through all her years in BC. She told me she always liked to get my Christmas cards and see the pictures of my kids. I feel like wherever she is right now, she’s with Uncle Murray and Grandma and Grandpa (Peg and Lorne) having a great time. She will be missed. I am sorry to hear of Yvonne’s passing. I will be making a donation to Saugeen Memorial Hospital in her name. Sincere sympathy to you Murray & family. Such a kind lady your Mother was . Rest in peace Yvonne. Our warm thoughts to Yvonne’s family on the passing of a great lady! Never without a smile, she was a force to reckon with! Yvonne and Murray left a very significant mark on our community. Rest well, Yvonne! On behalf of my mom, Leone Gingrich and the whole Gingrich family we would like to send our condolences on the loss of your mom. Your mom and mom spoke often on the phone and shared letters, distance did not diminish a strong friendship made many years ago in Ontario. So sorry for your loss! She was a great lady! Yvonne was one of a kind. She and Murray were very supportive of us through many years of University and over the 55 years since then. We will miss her phone calls and her ability to remind us of a host of people from our distant past. While we will be poorer for her passing, we know that she was anxious to be rejoined with Murray. Goodbye friend. Deepest sympathy to Murray, Lois and boys, yvonne was a true friendzand had so many lunches out in Southamptpn and Port Elgin. She was a generous and loving person. God speed Yvonne.. So sorry, Yvonne was a true friend for many years, My thoughts and prayer are with Murray and family, so many good memories. Boy will I miss my phone conversations with Yvonne. Such a spirited person. She took an interest in my children from the day they were born. Every time she saw their picture in the paper she would give me a phone call and we would talk. She spoke highly of everybody she met. Her family and community has lost a truly special person. My condolences to all who knew her & loved her. Murray and family please accept our heartfelt condolences on your Mother’s passing. Yvonne was a beacon of independence and caring. My condolences to the family. The Fraser siblings all together at Yvonne’s & Murray’s 50th anniversary. What an amazing lady! Yvonne had a heartfelt interest in everyone she met. She was witty and kind; a delight to talk to on the phone. It was an honour to have known her. Our deepest sympathies to Murray, Lois and Family. My sincere sympathy in the passing of your Mom.. Remember her from United Church and at Dad’s office. A very positive and influential person in our town of Southampton. She is at rest but will not soon be forgotten by those who knew her. R I P Yvonne ! Sympathy to her family . I have many fond memories from Sunday school days until her last phone call. Jane ,Pauline & Doug Burke. Thinking of the Flock family at this sad time. I (Sue (Warner) Wardrop) remember when I first started working at the drugstore in Southampton,ont. I met this feisty lady, had so many laughs. Murray and Lois – I know I did write a message yesterday but I thought of another little story you might be interested in – I sang at your parents wedding -we lived in Stratford and had an old car it was a long drive to Southhampton but I was honoured to be asked to be part of their special day. Also one summer your Mom was concerned about the pigeons making a mess at the front of the house so she asked Bob to install a screen in front of the place where the pigeons entered – it was a messy job but he did it!! You and your family are in my heart and mind. Please accept our deepest condolences on the passing of your mother. I have met Yvonne and your dad in early 2000 when your parents stay at Plaza 500 Hotel in Vancouver, visiting near by hospital. We became great friends over the years and kept in touch even when I was sick. Yvonne and I had lots of great conversations till the end. We had a long talk just before my vacation in December, 2018. When I was back, Yvonne’s beautiful Thank You card was in my mailbox. I was so honoured and touched by her wonderful words and great gesture. I called on Jan 19, 2019 to say thank you to my dear friend, and burst into tears to the knowledge of her death! I dearly loved Yvonne, her strength, passion and kindness until the very end. Her great spirit and legacy will live forever. My dear friend Yvonne, rest in eternal peace! I am so sorry for your loss. Your mom became my first friend when I moved to Kelowna four years ago. We spent many hours watching CNN and together we “solved the problems of the world”. Alex, Tristan and Ian – your grandmother was so proud of you. She spoke highly of all three of you and was always eager to share news of your accomplishments. Like everyone who knew Yvonne, I miss and think of her everyday. always will remember. Never had to figure out where Yvonne stood. Saw her every parents night. Didn’t talk much about you but we did manage to sort out the world’s problems. There is now a hole in the Meadowbrook family that we all will sorely miss. She was a fierce friend to everyone who had the good sense to be hers in return. She loved to tell me she was taller than I and thankfully no one said different! chuckle Cute as a button, generous to a fault and loved by all. Yvonne was one of a kind and the world would be better for it if there were more like her! Sorry to hear of your mother’s passing. I remember some great (and speedy) times with your mother driving the Dodge Dart. Some wonderful memories of a very indeed feisty lady. At this time of sorrow, may your heart be comforted and your spirit renewed by the Lord’s loving presence. trip to Expo’67 that your parents so graciously included me in. Our thoughts are with you. Murray and family. Sending my sincere condolences to you and your family on the passing of your mother.. I, along with all the “Southamptonians” who knew her, will remember her fondly. Sincerely. Rob S.
To Murray, Lois and family, my deepest condolences. I knew your mother since she and Murray moved to Southampton. They were very good friends to my mother and I, as they were to many people. I will deeply miss the sound of her voice on the phone. It’s like losing a member of my own family. Murray, so very sorry to hear of the loss of your dear mother. 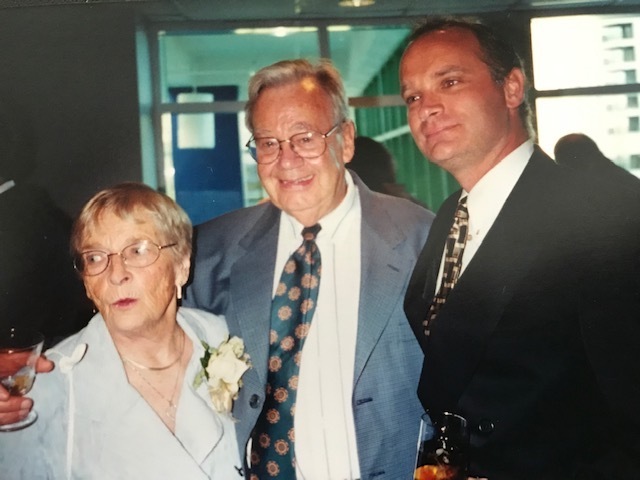 My mother (Mary Shular) loved your mom and loved to engage in conversations with her. May she rest in peace. I am saddened to learn of your mother’s death. Yvonne was such a kind, curious and spirited individual. Take solace in the fact that her legacy lives on within you, Alex, Tristan and Ian. I am moved to write a few words about Yvonne, even though I never met her. However, we talked numerous times with the weapon she wielded. I was always so impressed by her memory, her compassion and how engaged and concerned she continued to be with friends in Port Elgin/Southampton. My involvement with her is the result of my involvement with Saugeen Memorial Hospital Foundation. Because of this mutual interest, we kept in touch. I am truly sorry for your loss of such an unique lady!